muller : surf swiming, canoes and fishing, west africa, 1669. Wilhelm Johann Muller : Swimming, Canoes, and Fishing, West Africa, 1662-1669. Description of the Fetu Country, 1662-1669. 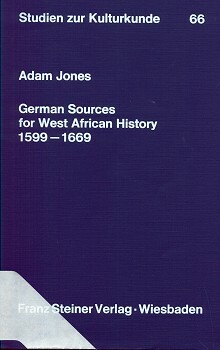 German Sources for West Afican History 1599-1699. At Cabo Corso, the children are taught to swim an early age, and Muller observes "an enormous crowd' in their daily ritual of bathing in the harbour, accompanied with considerable youthful mischief. For the coastal foragers of West africa, Muller reports a rich bounty, including lobsters, "generally bigger than those caught in the North Sea." . Growing on the roots of lime and orange trees along the banks, they are harvested and eaten on site, garnished with the ready-to-hand lime juice. and heathen in the Fetu country are every day fed to their satisfaction." Muller states that the Fetu has a small number of canoes builders, perhaps due to a scarcity of suitable timber. Most Fetu canoes are obtained from Ahanta, also noted as a centre of canoe building by de Marees (1602) and Barbot (1688). Resembling a small fishing boat in Germany, a Fetu canoe, is "made of one piece of wood, a pointed bow and stem, about a foot long and a span wide." They are shaped with machetes and hollowed out with "sharp pieces of iron or pointed nails," probably replicated in the manner of earlier stone tools. The natives of the Fetu country main susistance is agriculture and fishing, venturing in large numbers up to three miles off-shore in canoes, called ehenne. Muller osberves that the fisherman in the Fetu country observe Tuesday, called ohinne do, as a day of worship, and although refaining from going to sea to fish with hooks, are free to use nets. When turbulent seas prevent fishing, or are the cause of a loss of catch or gear, they pertition their priests to appease the sea-gods with a sacrifice. After beating with a club, the veins of the leaves are plaited into twine and wound on to a spindle before weaving in nets of various sized mesh. the barbs of harpoons are made by local smiths. Accutely aware of the seasonal availablity of various fish species, netting is generally prohibited before the onset of the "lesser rainy season." Muller lists sxteen species, in categories of small, medium and large, regularly caught in the open sea. The torch and spear method is also used when wadding around the rocky foreshore. Wilhelm Johann Muller was born in the early 1630s near Hamburg, and was ordained as a Lutheran pastor in 1661. In the same year, he entered the service of the Danish African Company and severed at the company's fort Frederiksborg, near Cape Coast, from 1662 to1669. During this period the Danish foothold in West Africa was tenuous, with continous conflict with the Dutch, Swedes, English, and the rulers of Fetu, still powerful enough to exploit European rivalries. The Danes departed Frederiksborg in 1685. The book was self- published in Hamburg in 1673, reprinted in Nuremberg in 1675 and in Hamburg in 1676; the later published as a facsimile in 1968. Partly written after Muller's return to Europe, he acknowledged that he had read the account by Joao de Barros (15??) and also appears to have consulted de Marees (1602), the book is largely based on his observations. Jones' translation (1883) is based on the 1673 edition. references to the original edition in [square brackets]. The Blacks in the Fetu country have special days which they celebrate solemnly to honour and please their false gods or, in other words, the Devil. Instead of Sunday, Tuesday is celebrated throughout the country. The fishermen living on the coast hold this day so sacred that they believe a great disaster would befall them if they went to sea to fish with hooks on that day. This day is celebrated in honour of the o-bossums or supposed gods of the sea. When the sea becomes rough, so that the fishermen either [p. 65] suffer loss or cannot even fish, they get the priests to question these gods and appease them with a sacrifice. 124. Appendix A 46,234. Cf. Ulsheimer 1616 n. 51; Villault 1669: 257-8. 125. cr. Thompson 1758: 36. 126. Cf. Hemmersam 1663: 71. All kinds of mischief are practised, with children striking and insulting one another. All this, however, goes unpunished, since the parents do not frown upon it but actually laugh at their child's wickedness and mischievousness. Only if the child does something very wrong indeed does the father become angry about it; and then he treats the child quite mercilessly. He throws it on the ground, treads on it with his feet, and would actually kill it if the child did not escape or if others present did not rescue it from his hands. Thus this heathen way of rearing children is awfully bad. When young people reach the stage where they have their own household, they must themselves decide how to seek and obtain their sustenance. They have several methods and ways of doing this, but the main ones are: 1. Agriculture. 2. Fishing. 3. Livestock husbandry. 4. Hunting. 5. Trading. 6. All kinds of crafts. 345. cr. De Marees 1602: 16a. 346. This paragraph was clearly influenced by De Marees 1602: 13a. cr. Bosman 1705: 122. 404. For an earlier reference to the importance of fishing in Fetu, see ARA, Leupe 743, map dated 25.12.1629. 406. Cf. Bosman 1705: 129. 407. By 'benninas' Millier could mean either pineapple or plantain: see Cruickshank 1853 II: 271; Irvine 1947: 25 and 1961: xlix. the leaves, winding it on to a spindle and then preparing nets with [p. 220] large and small mesh, after the manner of European fishermen. The harpoons with which large fish are shot and stabbed are made by their smiths. The fishermen of the Fetu country understand very well that each species of fish has its particular season and course during the year. Consequently they know how to observe precisely the right time to catch large fish with nets or small ones with hooks. If anyone does, he is bound to fear that his net will be taken from him by the other fishennen or that he will have to pay a fine. The reason they give is that, Obossum, the patron saint of the fishermen,(41) does not like seeing this done and causes much harm on account of it. But when the time in which they have freedom to fish with nets arrives, they go a short distance out to sea the previous evening and then [p. 221] cast the net out against the current. To each corner they tie a heavy stone with a long stick called ensu faba,(411) so that the stick stretches deep down to the bottom and holds the net firm, half-way down. On the net one also sees large pieces of wood tied with long cords, floating on the surface. Each fisherman can recognize his net by these. The following morning they go out again at dawn, to see what kind of blessing in the form of fish their summan or fitiso has bestowed upon them. They take the net home to dry it on shore in the sun. Besides the large nets, which are only used in fishing at night, they have another way of fishing at night. They either light a bright fire in their fishing boats, or take burning torches, made of dry chips of wood coated in palm oil or even merely of milie straw, tied together. With [p. 222] their left hand they hold the torch up in the air, so that it shines far out. The same method is practised by some who seek fish between the rocks lying along the coast. 408. a. De Marees 1602: 26b. 409. According to De Marees (1602: 61a-62a), fish were caught between January and March with hooks, in April and May with harpoons, in June and August with hooks and in October and November with nets. 410. i. e. Obosompo, god of the sea. 411. Stock ('stick') is probably a misprint for Strick ('cord'): cf. Appendix A 325. According to De Marees (1602: 62a), such nets were used for catching fish like pikes. 412. Appendix A 320, 322. For the names of nets used today, see Irvine 1947: 34- 7.
or some lighted straw, and in the other a fishennan's basket. If no storm forces them to come ashore early, they remain fishing for two or three hours. Meanwhile their husband washes, anoints himself and refreshes himself with the best food and drink he possesses. It is to be noted that when the Fetu fishermen want to use hooks to catch large fish, they tie the pointed hook firmly to a rope. But if they are after small fish, they tie several little hooks to a thin thread, which they hold in their fingers. All the fish caught in the open sea [by people] from Friederichs-Berg, Cabo Corso [Cape Coast] and EI Mina [i. e. the town adjacent to Sao Jorge da Mina] can conveniently be divided into three categories; for some are small, some of medium size and some large. 414. This paragraph is from De Marees 1602: 61a. 415. cr. Hemmersam 1663: 46- 7 and n. 58. 416. cr. De Marees 1602: 59b. 417. cr. De Marees 1602: 32b. A round, fat fish, the length of an arm, with an almost smooth skin, which lOCi': brownish on its dorsal fin but white below its belly. (437) This fish, like the albocore, has dry, meagre flesh. Sometimes it also happens that fish which the natives themselves do not know !It caught and sold. In 1666 a big, monstrous fish was seen in the open sea. When the fishermen below Friederichs-Burg and at Cabo Corso [Cape Coast] observed it, large number of them rushed towards it in their canoes with throwing and stabbing irons, caught it and killed it. The head of this fish was carried on a pole by four Blacks and sold to us Danes for 4 Dutch guilders. It was a whole fathom in circumference and had so much meat that over fifty people, both Blacks and Whites, obtained some to eat. None of the Blacks knew the fish, nor could they name it. The lobsters are generally bigger than those caught in the North Sea. Otherwise they are in no way different, [p. 238] except that they have small claws and crinkly, prickly shells. Their flesh is also harder and more digestible. The oysters too are larger than European ones, six or seven of which do not have as much flesh as one of them. At El Mina [Sao Jorge da Mina], where the Fetu River enters the sea, one finds a species of little oysters which grow on the trees and are nice to eat. But these are seldom brought for sale. Lest anyone should be surprised at the remarkable way in which these small oysters grow, I shall explain what takes place. In the mouth of the aforementioned river stand many short lime and orange trees. When the tide comes in, they are inundated, so that they stand under the water. During that time these little oysters, which the rising sea brings with it, attach themselves in large numbers to the trees and remain hanging on them. After the sea has receded, they are to be seen there and are plucked off by hand. Thus anyone fond of gathering oysters can [p. 239] immediately enjoy a dish of fresh ones. 437. Probably the belted bonito or pelamid (Sarda sardo), although here again Muller's colours are odd: see Irvine 1947: 185-6. cr. De Marees 1602: 79a-b. In the same way I have before now actually collected mussels from a tree which lies in the harbour below Friederichs-Berg. Thus through God's tender blessing the great Ethiopian Sea provides all kinds of wonderful fish and fruits, with which Christians and heathen in the Fetu country are every day fed to their satisfaction. Had God not bestowed on this place such a rich blessing in the form of fish (for which the Blacks give Him no thanks but the Christians readily thank Him with all their heart), there would be so little to eat in this country that many a man would not wish to live there. In the stagnant water of the Fetu country there are some fish, but very few. This fish is a kind of Crucian carp, resembling the Crucian carp here in Europe in its outward appearance and taste. The nicest morsel [p. 240] on this fish is the head, which is wonderfully fat. It does also-have a slimy taste, because, like the Crucian carp, it lives in slimy places. Nevertheless it is nice to eat. 442. Cf. Groeben 1694: 31-2. 443 ? Cf. Christaller 1933: 380, apatere 'a species of river-fish'. The patavia may have belonged to the Tilapia genus. For freshwater fishing, cf. De Marees 1602: 62b-63a. [p. 276] The whole country is full of carpenters; for each native understands how to build his own house and does not need to call on specialist carpenters. Yet not all of them know how to make a canoe in which to go out to sea. 516. De Marees (1602: 59a-b) wrote that the largest canoes were made at Cape Three Points and many smaller ones at Anta (Ahanta). Barbot too mentioned two kinds of canoes (1678-9: 46) -ordinary dugouts and those able to carry up to 8 tons. The latter were obtained from Ahanta, possibly because there was already a scarcity of large trees close to the coast in the Cape Coast area. Cf. Barbot 1688 11: 7; Bosman 1705: 129. 517. For a more detailed desription, see De Marees 1602: 59b-60a. Geoff Cater (2013) : Wilhelm Johann Muller : Swimming, Canoes and Fishing, West Africa, 1669.